Han Solo in "Star Wars: The Empire Strikes Back"
The force was definitely strong with Han Solo in "The Empire Strikes Back" when he left the Rebel Alliance base to save an abandoned Luke Skywalker. 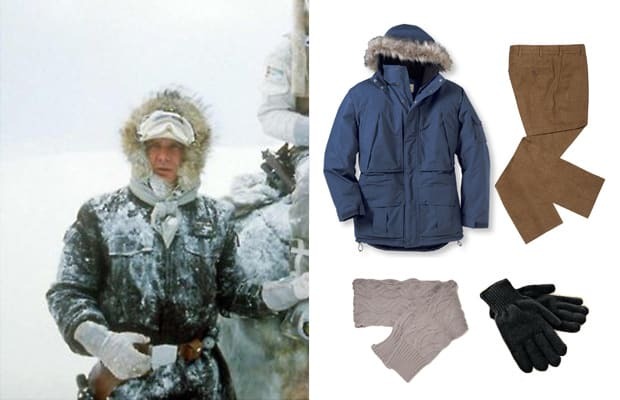 While the stylish, yet cocky Corellian found himself pining for the love of Princess Leia, his impeccable taste in fur-hooded parkas and thick scarves to battle the harsh climate on the ice planet Hoth won the hearts of many a fashion nerd worldwide. Just please don&apos;t mix Star Wars with Star Trek. Those dudes had no swag.